Convert music edit tags and rip CDs into mp3, wma, mp4, flac, ape, ogg easy! Make slide shows for your TV, PC, Web, executables, DVD, VCD, and screensavers..
Test free software package from the best internets sites! Check out called for utilities and exceptional tools. Try commercial utilities, shareware, freeware, and trials to get in several sections. On Softempire website you can always find a novel software system, or obtain the most recent releases of your favorite PC and mobile programs, apps, and relax softwares. To get the neccessary software to acquire, try a simple collection or a intelligent Google. The Softempire catalog is straight off filled up: if there is the latest version of package you search, it is doubtless to be in the network richest package catalog! 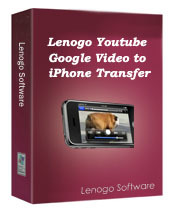 You can download: Copy DVD Movie Now, DVD to iPod Converter + Video, CheapestSoft Zune Video Converter, Zoner Photo Studio 10 Professional, DWG to WMF Converter MX, Ringhero, 1st Lenogo Youtube/Google Video-iPhone, Alivecolors std, Arclab Watermark Studio, Leawo Free MP4 Converter, Meta-Morpher, Film Tracker, CDMenuPro, Picture Man, Skip.